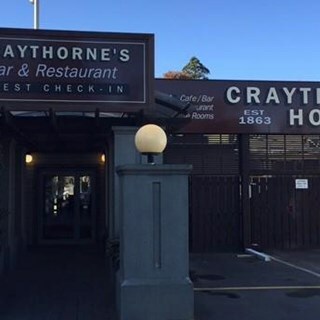 Just ten minutes from Christchurch city centre, Craythorne's Hotel is a unique suburban establishment situated in the heart of semi-rural Halswell. In addition to boasting 12 guest suites, you are welcome at Craythornes Restaurant and Bar, serving breakfast, lunch and dinner 7 days per week. 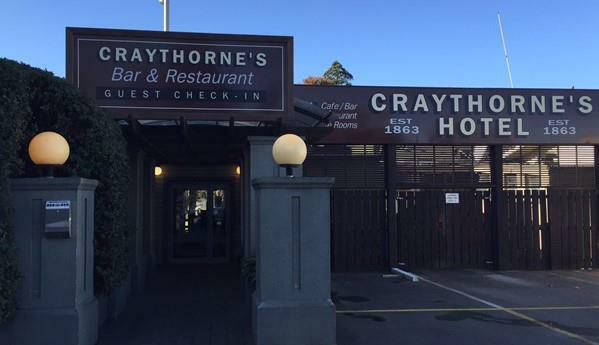 Come and meet the friendly, personable and professional team at Craythorne's and enjoy their menu boasting beautiful Kiwi fare at its finest. Their menu features a wide range of popular favourites and their own twists on traditional fare. Everything you want to eat, you’ll find at Craythorne’s! Disappointed. My wife's roast was luke warm and the price of this was $23.00 which was expensive as the meal lacked quality and quantity.We have had better roasts else where.My fish of the day was also luke warm but nice.I think these meals where put aside and not delivered to later.We won't be back.And if it was not for the 50% first table ,it was not worth it. Return visit, menu changed but still delicious! Not a great choice for vegetarians but seafood and chicken dishes. Highly recommend salmon & prawn pizza and sticky date pudding! We really enjoyed our meal. Not as good as our last visit.A couple of the meals we felt were below par.They were the burger and the eye fillet.The eye fillet was not cooked as requested (medium rare). So over a little disappointing for first table. Great to get there went the happy hour was operating.Now that was a pleasant surprise. Came for dinner for our 11 year old sons birthday, really nice meals, curry is lovely. Hubby enjoyed his ribeye, said was the best he’s had here. They even put a candle in the Birthday boys sundae!! Service great, menu boring, food average. Excellent service, good attention to diners needs and requests. Meals arrived as ordered and hot, good menu selection to cater for most appreciates.